At the Law Office of Kenneth Carp we are the “employer’s attorney” and are uniquely qualified to assist with employer unemployment tax issues. We have represented businesses as small as one employee to companies such as Walmart. Attorney Kenneth Carp, our founder and retired Air Force Lieutenant Colonel works with human relation departments and business owners to combat unemployment taxes on a daily basis. Unlike actuarial firms such as TALX and Employers Edge, we provide “Continuity of Care” and personalized attention. Whether looking for a representative for an Appeal Hearing, discharge of an employee, assessing your tax liability, implementing policies and procedures or developing an employee handbook, Attorney Kenneth Carp and his representatives provide exceptional and understanding service. Prior to his more than twenty years of legal representation to businesses Attorney Carp was an Operations Manager at Frito-Lay where he was faced with many of the decisions that you face today. 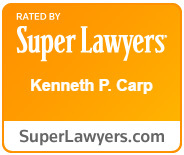 Attorney Kenneth Carp understands the law and he understands business. Contact us for a free consultation and put us to work for you. Having unemployment benefits denied for a discharged employee involves more than showing that policy or handbook provision was violated. A good business decision to discharge an employee does not mean an Appeal Judge or Appeal Referee will deny benefits. If you discharged an employee you generally must prove willful and intentional misconduct and that is not as easy as it sounds. Even if you have the right conduct for a denial of benefits you must be able to prove it at the hearing which is where many employers make a mistake. Employers must have the right witnesses and right evidence in order to have unemployment benefits denied. With Attorney Kenneth Carp and his representatives on your side your chances at a hearing increase significantly. One of St. Louis’ largest employers has a success rate of 85% at unemployment hearings as a result of our “Continuity of Care” program. Simply defined our “Continuity of Care” program distinguishes us from the non-attorney firms that randomly assign you different representatives for each hearing. At the Law Office of Kenneth Carp we strive to have the same representatives working for you, increasing your knowledge before and after you discharge an employee. Contact us at 636-947-3600 for your employer based employment needs. Whether you have an immediate need or are preparing for the future, learn how the resources of the Law Office of Kenneth Carp can work for you. We are the “Employer’s Attorney”.